Suleman Makhani brings over 25 years of small business and SBA financing to Finance and Banking. 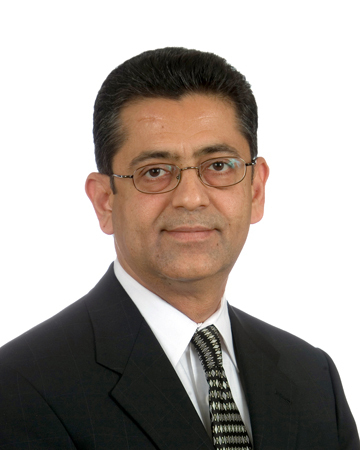 Suleman started his career in 1988 as owner of Smart Business Systems in Miami, Florida where he assisted small and mid-sized businesses to grow by employing technology to their business processes. During next 20 years, the business grew significantly catering to local, state and federal law enforcement agencies; providing services to midsize to large national telecommunication and publicly traded companies in addition to small to midsize individually owned businesses. Working with small businesses, it became very clear that growth of such businesses were directly tied to access to capital at reasonable terms. In 2006, Suleman started a commercial lending business as correspondent lender in Tampa, Florida. In 2007, he joined Dallas based United Central Bank (UCB) to run its LPO for SBA financing in Florida. With his deep understanding of small business dynamics and strength of SBA programs, the SBA volume for UCB in Florida grew from zero to $30mm/year in two years. Suleman was listed in Tampa Bay Business Journal as one of top producer of SBA loans. Currently, Suleman is with SunTrust Bank and works with a team of 20 business relationship managers in six large counties in west coast of Florida. His responsibilities include originating new SBA loans in these markets and finding the right product solutions for existing and future customers. Additionally, through his efforts, Suleman plans on establishing a stronger presence for the SunTrust SBA division by presenting at various events and conferences and solidifying the #1 SBA lender brand message. His commitment to working closely with his clients and referral partners will allow SunTrust to continue to rank as the #1 SBA lender in state of Florida.